Today's quads featured two exciting sections. 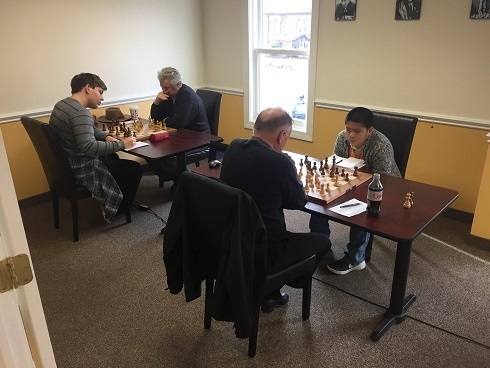 Despite some interesting and close fights, there were no upsets in the first quad and expert Andrew Dexter won first place with a perfect 3/3 score. A minor upset in quad two occurred with second seeded Xan Meister taking first place with a perfect 3/3 score! Thank you to everyone who came out to play.